Children are curious by nature and they’re sure to uncover danger in all the nooks & crannies in your home that you may not have even thought of! Going through the endless list of things to child-proof can be overwhelming. So here are 5 basic child-proof measures to start with! When children climb on furniture, it could tip over and fall on them. Anchor all furniture to the wall if possible, including the television. Ensure lower cabinets and shelves are protected. These are the perfect height for toddlers to explore and potentially try to eat or drink. Make sure cleaning products and other chemical products are in locked cabinets or kept in upper shelves. Cabinets can be secured with magnetic locks or traditional latches. Don’t forget toilet cabinets and toilet seats! These are also low on the ground and could be potentially dangerous for children. If your children are able to pull the fridge open on their own, consider installing a latch. Refrigerators could have choking hazards like grapes, breakables like glass bottles, and harmful substances such as medications. Keep small objects that could be potential choking hazards well out of reach in high cabinets or locked away. The culprits could be any miscellaneous items from candles to items that could be dismantled into smaller parts like door stoppers. The list of dangerous objects also includes glass photo frames, heavyweight décor items, kitchen appliances and cutlery. Another danger hazard is exposed power strips. Children could potentially electrocute themselves if they unplug a cord from the power strip and stick metal objects inside. Hide power strips by keeping furniture blocking them or use power-strip covers. If a room or area has a number of danger hazards towards young children, it’s a good idea to ensure its off-limits by gating it. Children playing with blinds can get caught in the cords and strangled. One option is to knot up all dangling blind cords high on the walls. As children may still be able to climb to higher ground and dismantle the knots while unattended, the best option is to remove the hazard by investing in cordless blinds. The Curtain Boutique offers a wide range of premium quality cordless blinds that are motorised and controlled by remote or set to open and close at set timings. 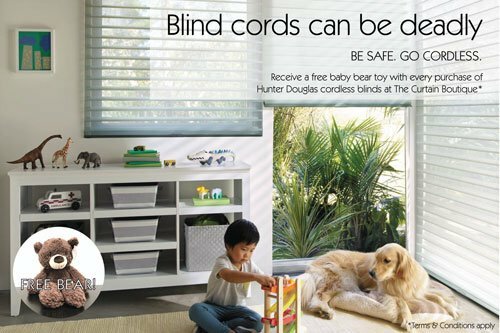 For a limited time only, you can get a free toy bear when you purchase any cordless Hunter Douglas blind at The Curtain Boutique! Windows should have grilles installed or only be able to open to 13 centimetres. Don’t forget to secure the windows that are high up and seemingly out-of-reach to children. They could potentially climb on other objects or furniture to reach higher heights. Traditional window grilles are a more affordable option to invisible grilles. However, window grilles can make the house feel enclosed with its cage-like effect. It can also spoil the look of the home, especially of a newly renovated and decorated home, by drawing attention to the grids and away from the home décor. An alternative is to install a window restrictor that prevents the window from opening past a certain distance. This will secure your windows while letting the view remain clear of obstructions. 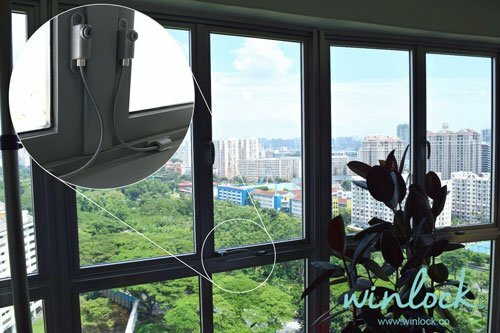 Try the WinLock window restrictor that has been tested to withstand a horizontal force of 2952N (300kg). You can also choose a colour that matches your window frame so it’ll blend in and let the interior design take centre stage. 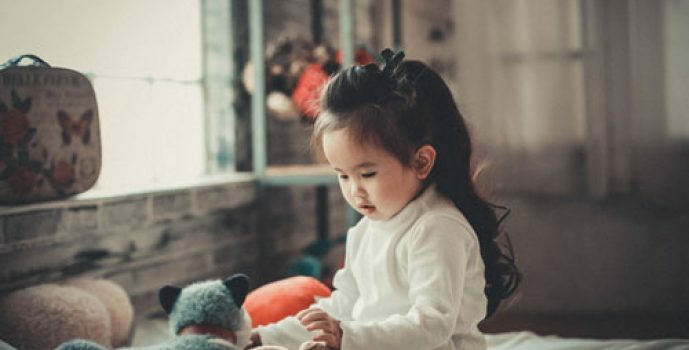 While these 5 steps of child-proofing cover the basics, there are many more potential danger hazards in homes that we haven’t covered, and no child-safe solution can beat a watchful eye! You can find the above mentioned cordless motorised blinds and WinLock restrictor at The Curtain Boutique, as well as a wide range of premium quality curtains, blinds, wallpaper, Ziptrak® blinds and more!